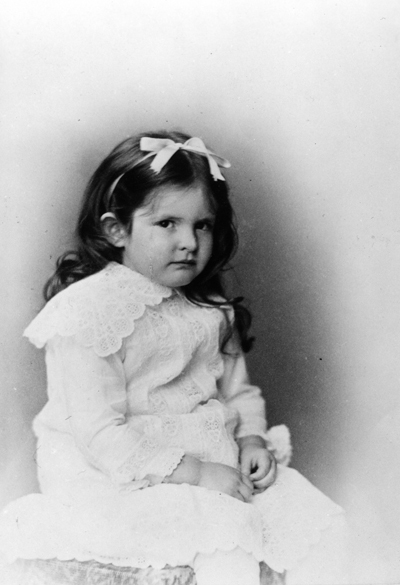 When Mark Twain’s baby son died of diphtheria, he blamed himself. 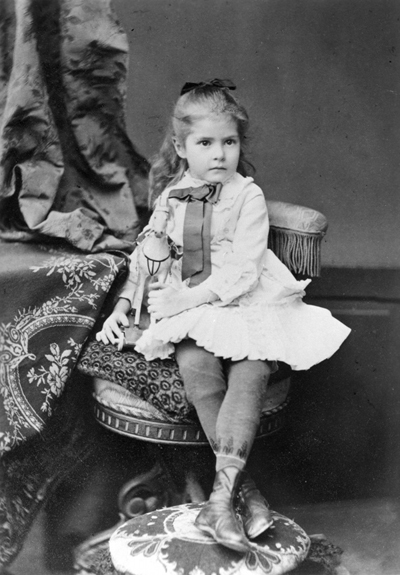 At 19 months, Langdon Clemens was in carriage, riding with his parents in 1872. 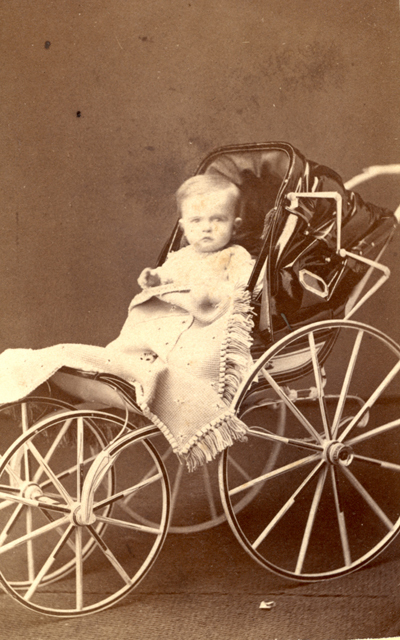 The boy, who was born premature on Nov. 7, 1870, had always been sickly. He caught diphtheria and died. 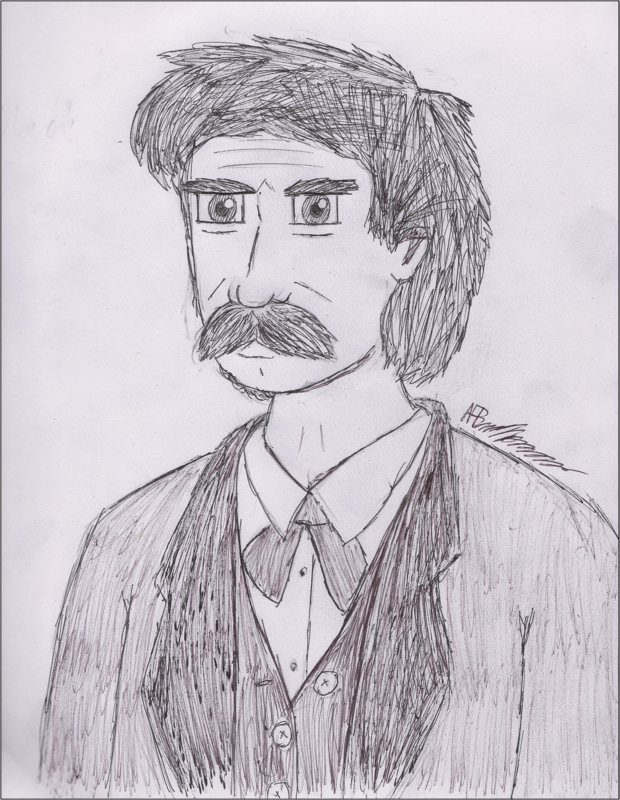 But Dr. Dr. K. Patrick Ober, an endocrinologist at Wake Forest Baptist Health in Winston-Salem, North Carolina who has studied Langdon’s death, said Twain wasn’t to blame. The boy died of diphtheria but his father didn’t cause it, Ober said. If Langdon was living today, Ober said, he wouldn’t ever have had diphtheria. Dr. Leonard Banco, a pediatrician and chief medical officer at Bristol Hospital, said that children today get four shots to prevent diphtheria by the age of 18 months. “It would have been totally different,” said Banco, if Langdon had been born today. Banco said diphtheria is caused by a bacteria and is spread person to person. He said it used to be very common, especially in small children and starts like a severe sore throat. A yellow membrane develops in the thoat, Banco said, that cuts off the airway. Eventually the child suffocates, he said. There wasn’t anything parents or doctors could do to stop it. A vaccine was developed and immunizations began in the 1940s, Banco said, and today, the vaccine is key to preventing diphtheria around the world. Posted in Uncategorized and tagged arts, Diphtheria, Greater Hartford Arts Council, Health, Jahyra White, Langdon, Mark Twain, Mark Twain House, Twain, Twain Studios, Write to the Point! The Writing Apprentices of Twain Studios worked together and on their own. For a story about the governor of Bermuda visiting the Mark Twain House & Museum, they collaborated. Grant Henry, seated in the center, typed as his colleagues chimed in with additions and changes. 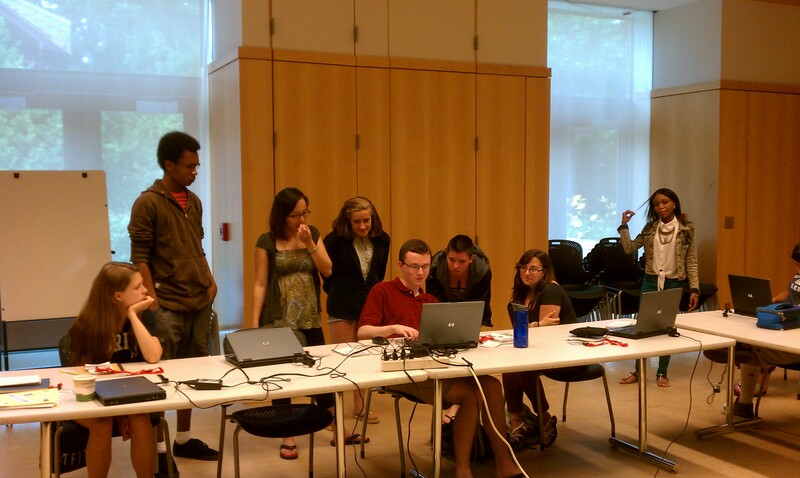 From left, Ambriel Johnson, Rae Martin, June Tran, Molly Miller, Nick Sherman, Meaghan Szilagyi and Ashaya Nelson. Hoping to spread his passion for Hayao Miyazaki, the visionary director of well-known animations such as Spirited Away and Castle in the Sky, Grant Henry spends his evenings online, scouring Facebook for a new person to chat up about anime. This is one of his favorite pastimes, aside from working on his latest project, Breaking Bad the Musical … soon to be on Broadway. 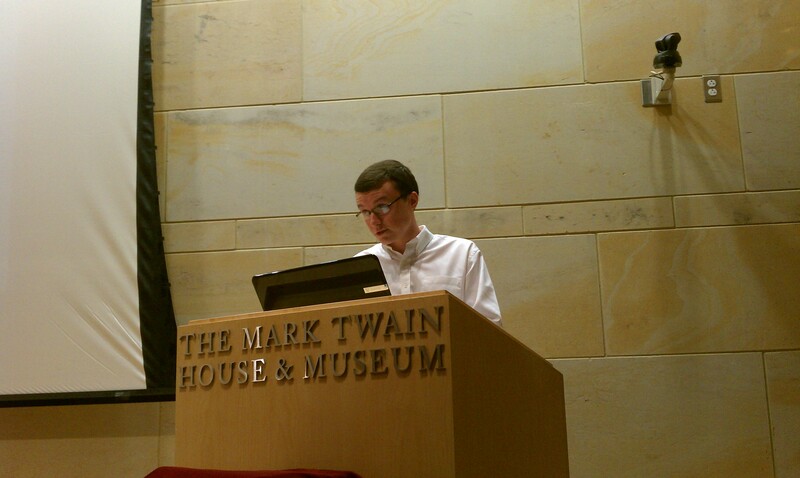 Grant Henry reads from his work at the Twain Studios Showcase. Henry’s strong passion for animation comes from someone very dear to his heart, his grandfather, Paul Kelley. His grandfather used to give him copies of Herge’s Tintin. “We would get together and discuss the art,” Henry said, his fondness for his grandfather readily apparent. Henry’s favorite movie is Akira, an anime film directed by Katsuhiro Otomo. He speaks excitedly about his favorite film, as if it were better than the comic it is based on. “I’m also a big fan of comics. They go hand-in-hand with animation,” he said, following up his statement on the film Akira. His enjoyment of animation is obvious, as is the influence it’s had on his life. When asked about his all-time favorite comic, Henry talked enthusiastically about a French one called The Rabbi’s Cat. Henry, 18, is a philosophical person, always looking for a metaphor. This recent Watkinson graduate, now a freshman at Clark University, said his grandfather helped shape him into the anime lover he is today. One of the many reasons why Henry tries to spread his appreciation for animation online is because not many people do. But what about that Breaking Bad musical? Begun recently, the project is a rap musical he has entitled Breaking Bad the Musical. “It started as a conceptual joke, and then got serious,” said Henry, who said he loves the television show because it is so suspenseful. Henry is also currently working on his own graphic novel. Don’t forget to keep a lookout for this aspiring artist’s many projects, coming to theaters and bookstores near you soon. Oh, and be sure to check out a few films by the director Miyazaki, too. A bubbly and compulsive 15-year-old born and raised in downtown Hartford, Meaghan Szilagyi was a weak baby born five months premature. Raised into a family with a rich history rooted in Hungry, her grandfather was a prominent governor there where the family name is both well-known and respected. It was Szilagyi’s father’s trip to the United States after the wake of communism in Hungry that really ties into the story of Szilagyi’s life today. 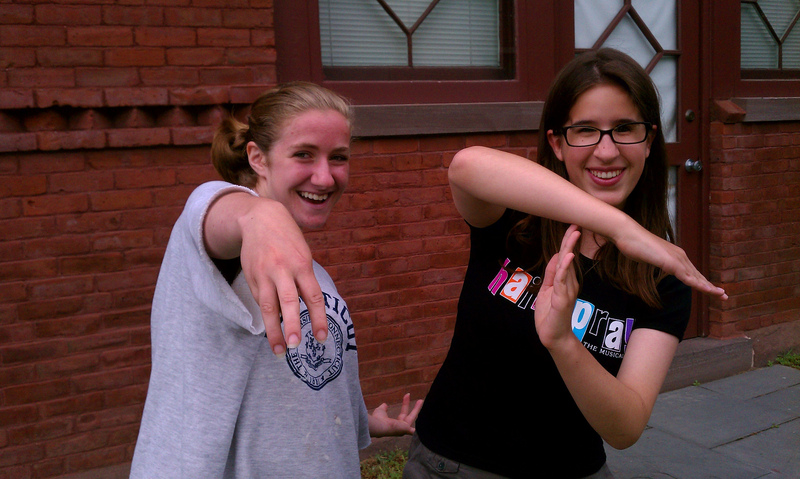 Meaghan Szilagyi, left, and her Twain Studios friend, Ambriel Johnson, sometimes shared music while they wrote over the summer. Her Sicilian grandmother cared for Szilagyi after she was born. The insecurities did not stop there. Entering middle school, Szilagyi began to hate writing prompts and essays. Teachers often assigned ridiculous topics such as essays about “intergenerational relationships” or the reason why To Kill a Mockingbird is an American classic. Boring subjects weren’t the only hurdle. Grades on writing assignments were also a problem. Ryba inspired Szilagyi to keep writing and envelope herself in the art. She now keeps herself busy with writing journals and poetry. While journaling, Szilagyi writes to an imaginary friend called “Phil.” In this journal, she records her daily activities and feelings. Szilagyi is indecisive about which career she wants to pursue. “I do but I don’t,” she said, when asked if she has a career plan for the future. In her mind, there are two paths that she’s planning to take, one that “cannot be written about” and the other a double major in sociology and psychology. For someone who describes herself as having a “contradictory personality,” Szilagyi possesses an inexorable desire to pursue never-ending happiness. 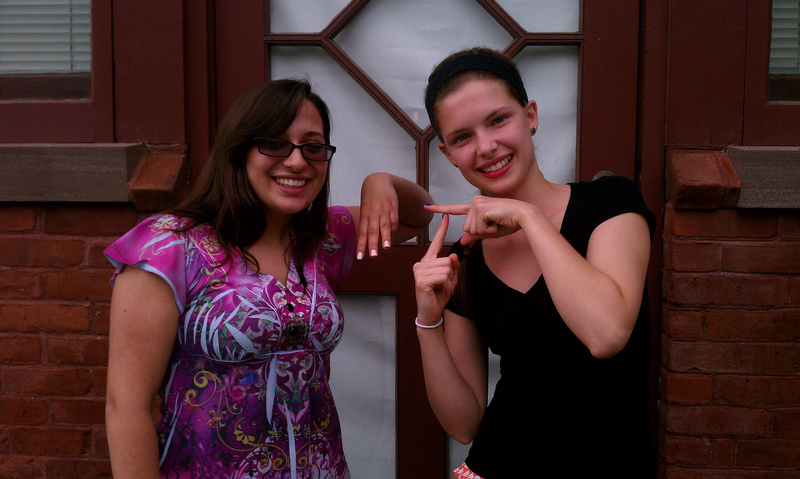 Twain Studios Writing Apprentices Jahyra White and Indira Senderovic show their allegiance to The Mark Twain House & Museum. Twain Studios is full of promising young people who clearly know where their loyalties lie: with the Mark Twain House & Museum in the ongoing, friendly summertime battle with Theater Works for the streets, hearts and minds of Hartford. 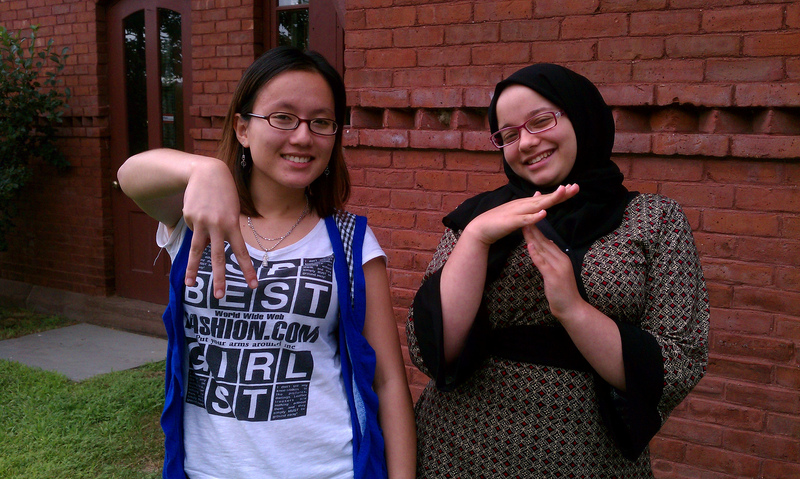 June Tran of South Windsor and Lina Allam of Glastonbury are most definitely on the side of The Mark Twain House & Museum. 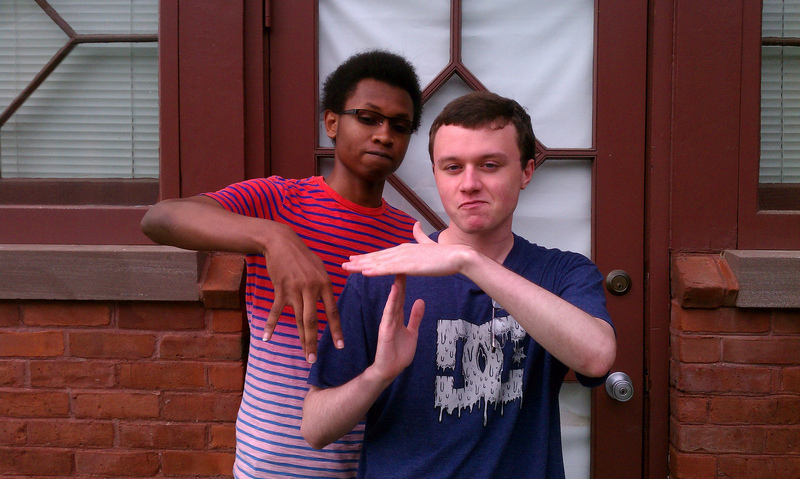 Meaghan Szilagyi of Wethersfield and Ambriel Johnson of Hartford are key players in the Twain Gang. Molly Miller of Hartford and Cecilia Gigliotti of New Britain are on board with Mark Twain. Twain Studios and the Twain Gang wouldn’t be the same without Rae Martin of Windsor and Grant Henry of Glastonbury. Need Help Cleaning Up? Call the Writers at Twain Studios! Twain Studios Writing Apprentices helped clean up after Thursday’s annual ice cream social at the Mark Twain House & Museum. 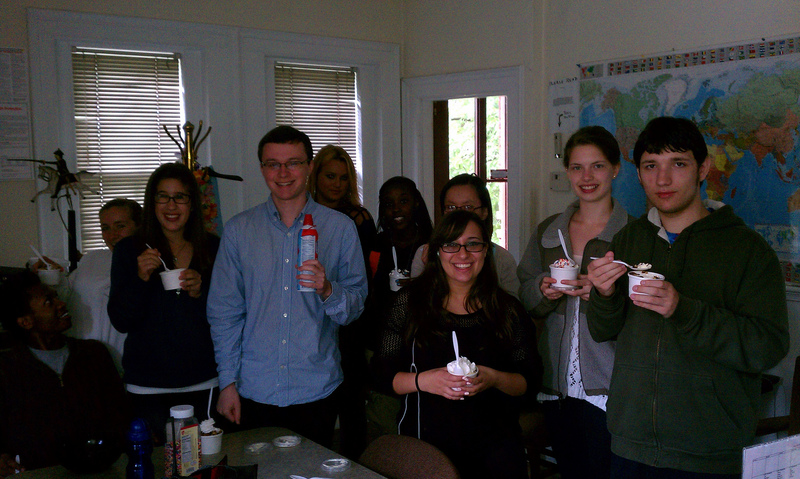 There was leftover ice cream and they pitched in to get rid of some of it! From left, Rae Martin, Molly Miller, Grant Henry, Indira Senderovic, Jahyra White, June Tran (partially hidden), Meaghan Szilagyi, Ambriel Johnson, Alan Burkholder.